Sporting huge cargo baskets in front of riders, the Dutch cargo bikes known as Bakfiets are ridiculously cute and rather useful for hauling things. They aren’t particularly useful for carting around a family, though, thanks to the uncomfortable nature of the cargo baskets. 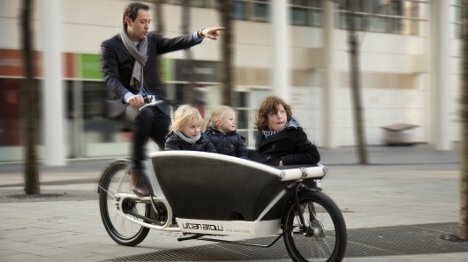 The designers of the above bike, known as the Urban Arrow, saw a gap in the market there and created a family-friendly cargo bike. 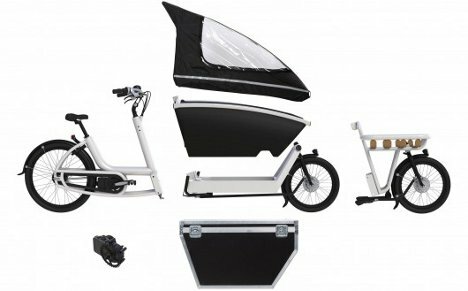 The Urban Arrow sports a padded cargo area for keeping your most precious cargo safe and comfy. A removable rain cover even keeps them dry in nasty weather. If the kids aren’t with you, a hard sided locking cargo box can fit onto the bike to keep your stuff safe, dry and secure. When your kids get old enough to ride their own bikes, the cargo box can come off to give you a bike with a big flatbed cargo area. And if you have only a small amount of stuff to haul, the entire front end of the bike swaps out for a regular-length front end with a small cargo shelf above the front wheel. 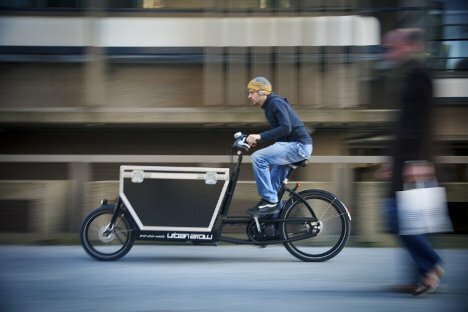 To help get that cargo – precious or otherwise – where it needs to go, the bike features a 250-watt electric motor. When turned on, the motor helps turn the pedals thanks to a 36-volt battery. It can go for around 25 miles when loaded down with stuff, although mileage may vary based on the route and the weight of the cargo. You can haul up to about 240 pounds in the cargo box, and with the motor turned on the bike boasts a top speed of 15.5 MPH. At just under $3700, it’s not hard to see why the Urban Arrow is being marketed as a “second car” for a family. We want one, and we want it now. See more in Bikes & Cycles or under Transportation. September, 2012.